Joy Castro is a professor of both English and ethnic studies at the University of Nebraska–Lincoln. She is the author of two thrillers: Hell or High Water, winner of the 2013 Nebraska Book Award and the National Latino Book Club’s book of the month selection; and Nearer Home. She is also the author of such acclaimed nonfiction as Island of Bones: Essays and The Truth Book: A Memoir, both published by the University of Nebraska Press. Safia Elhillo is a Cave Canem fellow and poetry editor at Kinfolks Quarterly. Her work has appeared in several journals and anthologies including The BreakBeat Poets: New American Poetry in the Age of Hip-Hop. She is the author of The Life and Times of Susie Knuckles. John W. Evans is a Jones Lecturer in creative writing at Stanford University. He is the author of Young Widower: A Memoir (Nebraska, 2014), winner of the River Teeth Literary Nonfiction Prize; The Consolations, winner of the 2015 Peace Corps Writers Best Poetry Book; and two poetry chapbooks. Joey Franklin is an assistant professor of English at Brigham Young University. His writing has appeared in the Writer’s Chronicle, Poets and Writers magazine, the Norton Reader, and Gettysburg Review. His piece “Working at Wendy’s” won the 2006 Twentysomething Essays by Twentysomething Writers contest. 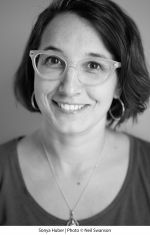 Melissa Fraterrigo is the founder and executive director of the Lafayette Writers’ Studio in Lafayette, Indiana. She is the author of a collection of short fiction, The Longest Pregnancy. For more information about the author, visit melissafraterrigo.com. Eric Freeze is an associate professor of English at Wabash College. He is the author of Dominant Traits: Stories and has published essays, stories, and translations in a variety of periodicals including Boston Review, Harvard Review, and the Southern Review. Dustin M. Hoffman painted houses in Michigan for ten years and is now an assistant professor of English at Winthrop University in South Carolina. His short fiction has appeared in many magazines, including Threepenny Review, Black Warrior Review, Puerto del Sol, Midwestern Gothic, and Cimarron Review, and his story “Building Walls” received a Pushcart Prize special mention. B.J. Hollars is an assistant professor of English at the University of Wisconsin–Eau Claire. He is the author of numerous books, including This Is Only a Test, From the Mouths of Dogs: What Our Pets Teach Us about Life, Death, and Being Human (Nebraska, 2015), and Thirteen Loops: Race, Violence, and the Last Lynching in America. Sonya Huber is an associate professor of English at Fairfield University. 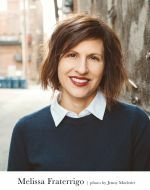 She is the author of Opa Nobody (Nebraska, 2008), Cover Me: A Health Insurance Memoir (Nebraska, 2010), and The Evolution of Hillary Rodham Clinton. 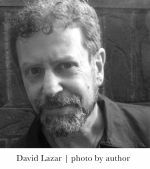 David Lazar is a professor of creative writing and English at Columbia College Chicago. He is the editor of the journal Hotel Amerika and the author of several books, including Who’s Afraid of Helen of Troy: An Essay on Love and Occasional Desire: Essays (Nebraska, 2013). Patrick Madden is an associate professor at Brigham Young University. 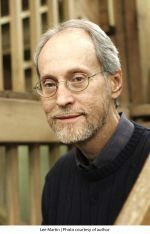 His first collection of essays, Quotidiana (Nebraska, 2010), won awards from the Association for Mormon Letters and ForeWord magazine and was a finalist for the 2011 PEN Center USA Literary Award. His essays have appeared in a variety of periodicals as well as in The Best Creative Nonfiction and The Best American Spiritual Writing anthologies. He is coeditor (with David Lazar) of After Montaigne: Contemporary Essayists Cover the Essays. Visit Madden’s website www.quotidana.org. Lee Martin is a distinguished professor of English and teaches creative writing at Ohio State University. He is the author of several books, including Such a Life (Nebraska, 2012), From Our House (Nebraska, 2009), The Bright Forever (finalist for the 2006 Pulitzer Prize for fiction), and Turning Bones (Nebraska, 2003). Safiya Sinclair was born and raised in Montego Bay, Jamaica. She is the recipient of a Whiting Writers’ Award, the Ruth Lilly and Dorothy Sargent Rosenberg Fellowship from the Poetry Foundation, and a Provincetown Fine Arts Work Center Fellowship. Her poems have appeared in Poetry, the Kenyon Review, Boston Review, Gulf Coast, the Gettysburg Review, Prairie Schooner, and elsewhere. Sinclair received her MFA in poetry from the University of Virginia and is a Dornsife Doctoral Fellow at the University of Southern California. 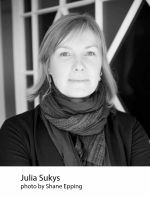 Julija Šukys is an assistant professor of creative nonfiction at the University of Missouri, Columbia. 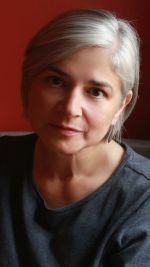 She is the author of Epistolophilia: Writing the Life of Ona Šimaitė (Nebraska, 2012) and Silence Is Death: The Life and Work of Tahar Djaout (Nebraska, 2007).